Our awards and prizes foster excellence in Australian historical writing, showcase and reward best practice, and advance and promote public understanding and appreciation of history. We offer a number of prestigious annual awards and prizes totalling $3,000 in prize money. Winners are announced and presentations made at our Annual History Lecture in September. The History Council of NSW also supports Create NSW in its administration of the NSW Premier’s History Awards and Fellowships. 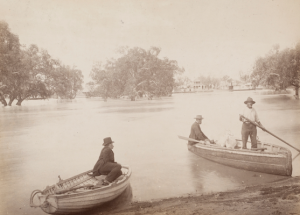 Instructions for lodging entries: please email your entry to admin@historycouncilnsw.org.au with the title of the award clearly stated in the subject line. If you have any questions please contact us and subscribe to our e-newsletter to receive announcements. The Aboriginal History Award was first awarded in 2016, the gift of an anonymous donor. 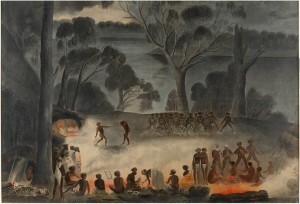 Its purpose is to encourage students and other beginning historians (up to post-doctoral career) in the writing of Australian Aboriginal history, including Torres Strait Islander history, from original sources. Indigenous Australians are strongly encouraged to enter. In 2019, the winner will receive a $1,500 cash prize. The winning entry will demonstrate excellence in addressing its subject, proficiency in the use of original materials and clarity of exposition. 2017 Aboriginal History Prize was awarded to Ruby Arrowsmith-Todd for her essay, ‘Spectacle, Spectators and Critics: Mid-century Indigenous cinemagoers and Shell’s travelling films’. 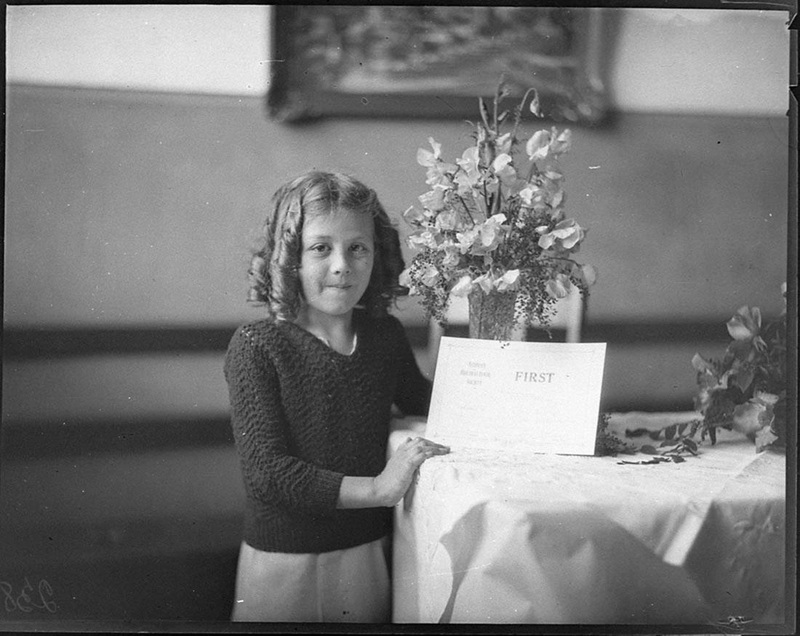 2016 Aboriginal History Prize was awarded to Rachael Simons for her essay, ‘”We Will Protect Ourselves”: William Ferguson’s Critique of the Policy of Aboriginal Protection in NSW, 1937-1938’. Submissions should be sent directly to admin@historycouncilnsw.org.au with the name of the Award clearly marked in the subject line. The Addison Road Community Centre Organisation Award for Multicultural History will be awarded for the first time in 2019. The Macquarie University Centre for Applied History Award will be awarded for the first time in 2019. The purpose of the Award is to encourage historians writing political, social, cultural and environmental history to approach their subjects in ways that use the past to inform contemporary concerns and issues. 2017 Deen De Bortoli Award for Applied History was awarded to Jodie Stewart for her essay ‘Emotions, Stories, Pasts: Feeling the Settler and Aboriginal Past on the Bundian Way’. 2016 Deen De Bortoli Award for Applied History was awarded to Dr Hannah Forsyth for her essay ‘Dreaming of Higher Education’. 2015 Deen De Bortoli Award for Applied History went to Meg Foster for her essay ‘Online and Plugged In? : Public History and Historians in the Digital Age’. 2016 Max Kelly Medal went to Daniel McKay for his essay ‘Loyal Children: The Australian Factor in the Birth of the Imperial Federation Movement’. 2015 Max Kelly Medal went to Rohan Howitt for his essay “The Making of a Maori Working Class: Trans-Tasman Migration and Colonial Development in New South Wales, 1806-40″. 2014 Max Kelly Medal went to Sydney-Clare Abba for her essay “In History’s Page: A Comparative Historiography of the ‘Stolen Generations’ and the ‘Forgotten Australians’ Or A Study on the Need for Further Study”. 2013 Max Kelly Medal went to Harriet Mercer for her essay ”The Responsibility that rests on our shoulders’: Ideas of Race, Gender and Citizenship in Interwar Australian Feminist Activism’. 2012 Max Kelly Medal went to Haidee Ireland for her essay ‘The case of Agnes J.: Tracing Aboriginal presence in Sydney through criminal Justice records’. 2011 Max Kelly Medal went to Rose Cullen for her essay ‘Empire, Indian indentured labour and the colony: the origins of the debate over ‘coolie’ labour 1836-37’. 2010 Max Kelly Medal went to Agnieszka Sobocinska for her essay ‘The language of scars’: POWs’ bodies and the overturning of the colonial order’. 2009 Max Kelly Medal went to Isobelle Barrett Meyering for her essay ‘Abolitionism, settler violence and the case against corporal punishment: A reassessment of Sir William Molesworth’s contribution to the transportation debate’. 2008 Max Kelly Medal went to Grant Mansfield for his essay ‘The Costs of War: patriotism and price-fixing during the opening months of the Great War in Australia’. 2007 Max Kelly Medal went to Timothy David Castle for his essay ‘Watching Them Hang: Capital Punishment and Public Support in Colonial New South Wales, 1826-1836′. Professor Lyndall Ryan receiving the Annual History Citation 2018. Photo credit: TWH Photography. 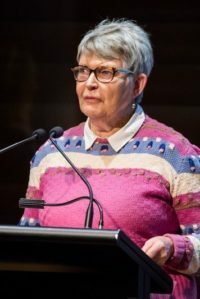 2018 Lyndall Ryan: In recognition of her research and teaching in women’s and Indigenous history, and her service to the profession in contributing to the development of Australian Studies and Women’s Studies. 2017 David Carment: In recognition of his outstanding contributions to historical scholarship, and his generosity and unwavering commitment to supporting the history community, including mentoring its emerging professionals. 2016 Carol Liston: In recognition of her contributions to researching and teaching history and heritage, and her service to community and local history organisations. 2015 Alan Atkinson: In recognition of his outstanding contributions as an historian to teaching, scholarship and the community. 2014 Shirley Fitzgerald: In recognition of her outstanding contributions as an historian to teaching, scholarship and the community. 2013 Ann Curthoys: In recognition of her outstanding contributions as an historian to teaching, scholarship and the community. 2012 Ros Pesman: In recognition of her outstanding contributions as an historian to teaching, scholarship and the community. 2011 Beverley Kingston: In recognition of her outstanding contributions as an historian to teaching, scholarship and the community. 2010 Kate Cameron: In recognition of her outstanding contribution to the teaching and learning of History. 2009 Bruce Pennay: In recognition of his contribution to history as an historian and practising heritage consultant, in particular his service to heritage and community history in regional New South Wales and Victoria. 2008 Baiba Berzins: In recognition of her significant contributions to the professional practice and interpretation of Australian history. 2007 Brian Fletcher: In recognition of his outstanding and lifelong contribution to the study and teaching of Australian history. 2006 Malcolm Sainty & Keith Johnson : For outstanding achievement and contribution to history and genealogy in Australia for over forty years. 2005 Bruce Mansfield: For his achievements as an outstanding teacher and scholar of history in Australia for over fifty years. 2004 Patricia Grimshaw: For her outstanding and lifelong contribution to the profession and practice of history. 2003 Terry Irving: For his contribution to the study of labour and political history in Australia. 2002 Clem Lloyd: For his role in fostering interdisciplinary approaches to Australian scholarship, and for his contribution to enhancing historical understandings of the Australian media, politics and public policy. 2001 Heather Radi: For her devotion to Australian history not only as a scholar, but also as an organiser of ideas and events and a supporter of younger scholars. 2000 Bede Nairn: For his contribution to Australian Labour history. 1999 Gavin Souter: For his contribution to the writing of Australian history across a diverse range of subject matter. 1998 Faith Bandler: For her role in making and documenting the history of reconciliation, her contribution to the writing of indigenous history and enhancement of Australian historical understanding. 1997 Justice Rae Else Mitchell: For his encouragement of the practice of history in the community and his contribution to the vitality of history institutions. Create NSW offers a range of grants, fellowships and awards which are advertised during the year on an ongoing basis. Information about funding and support available through the Arts & Cultural Development Program can be accessed here. Further details about the NSW Premier’s History Awards and History Fellow will be advertised on this page in early 2019.